There are many labels attached to design styles that get revamped and renewed. Whether you call it vintage or retro, there’s no doubt that things your grandmother owned are probably cool again. From mirrors and pop culture accents to mid-century sofas and kidney-bean shaped coffee tables, everything old is back in style. While terms like antique, retro, and vintage are often used interchangeably, they are definitely not the same. There is a bit of debate and some confusion about what each word means. While the difference may be a matter of opinion, though, there are still some commonly accepted definitions. The term “antique” typically applies to pieces that are at least 100 years old and display a high degree of craftsmanship or a certain attention to detail. Antiques are a true reflection of a previous era and gain value based on condition and preservation of their original finish. The period charm of antiques never goes out of style. Antiques are collected for a variety of reasons. Some people simply enjoy collecting interesting pieces that are no longer available today, while others purchase antiques to make a financial investment. Many collectors prize an object because of its rarity, uniqueness, or a personal emotional connection. Whatever your reason, it’s a good idea to consult a local antique dealer association when you are ready to make a big purchase. They can help verify an item’s authenticity and value for you. The definitions of “retro” and “vintage” are not as clear cut as “antique.” Many people use the words interchangeably, but others argue that these words have very different meanings. Although widely misused, it is commonly accepted that the term “vintage” refers to an item that is at least 20 years old. Some people insist that true vintage is categorized as 50 years or older, though. “New vintage” is a phrase often used to describe treasures that are on the newer end of the 20-50 year spectrum – which is good news for those 1980s fans! While the age range of a vintage item is debated, it is true that in order for the piece to be considered “vintage,” it must be old and made during a specific time period prior to present day. The term “vintage” originated with wine growers describing the year of a particular harvest. The word evolved over time to describe the year an item was made. For interior decorating, vintage refers to objects that were actually made during a certain time period, while retro refers to items that are associated with the design style of a particular period – whether or not they were actually built during that period. A good way to think about the difference between retro and vintage is that retro is about imitating the appearance of an era, while vintage refers to the actual construction of a piece during that time. Incorporating vintage décor is all about creating a sense of historic charm by embracing and repurposing things of the past and enjoying them just as they are – even if not in perfect condition. Vintage is a very casual, eclectic decorating style. Vintage interiors are ideal for those who are patient collectors or for treasure hunters who enjoy finding pieces that can be repaired, refinished, and repurposed. “Retro” is a term that has been used since the 1960s to describe items that display characteristics of a bygone era. Retro is most often used to describe objects that no longer seem modern; they aren’t necessarily old, but replicate a time in history. Retro pieces can be brand new but are made in the same style of the time or item they attempt to imitate. Remember the popularity of shag rugs in the 1970s? You can achieve this retro vibe by purchasing a new rug with a high pile in a color that was popular at that time. 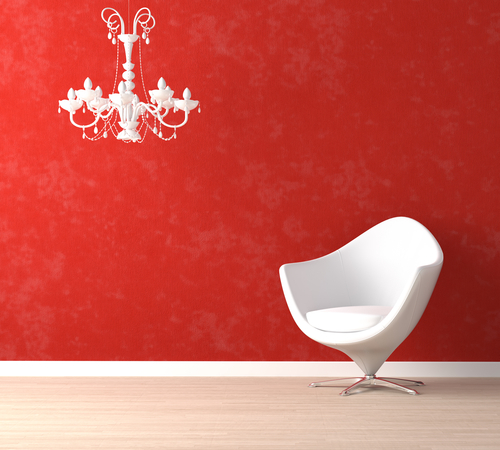 Like fashion and art, interior design trends are cyclical. Everything comes back around, and when it does, it is re-invented in small ways. For example, a streamlined metal chair reproduction imitating those from the ‘70s would be made slightly larger and with bigger cushions today, since people now are larger on average than they were during the 1970s. While someone from a younger generation may love the mid-century modern look, their mother may think it looks like her grandmother’s house or something from the Brady Bunch! In finding right pieces for your personal space, don’t compete with the layout of your home. If you live in a new construction home, instead of trying to make every room have a retro design, pick just one small area and go from there. It’s also easiest to begin with smaller accent pieces like mirrors or lamps, and then incorporate larger pieces as they inspire you. Whatever design you aim to achieve, marrying a period piece to modern amenities creates a timeless, eclectic style. We have many vintage-inspired pieces in our showroom that can get your creative juices flowing. Go on – make your space more “hip” today!